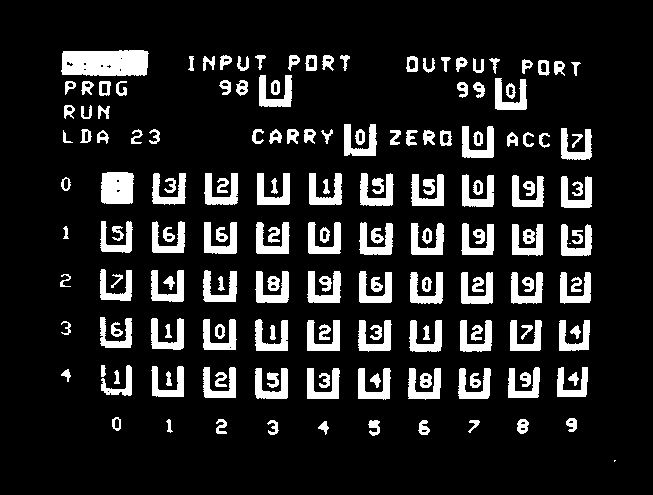 The PEEKO-Computer simulates the operation of a simplified microcomputer in order to teach the fundamentals of machine-code programming. The PEEKO-Computer has ten easily-learned instructions, and the display gives a visual analogy of the operation of a real microcomputer. Programs can be entered, single-stepped, or run, with the memory and register contents being displayed at every step. To aid comprehension each instruction mnemonic is displayed as it is encountered. The PEEKO-Computer comes complete with a 16-page instruction manual which contains exercises and examples, and the cassette includes five danmstration Peeko-Computer programs.